A creamy risotto made with pieces of chicken, spinach and garlic. About the only issue I had with this, was the thickness. Deciding to avoid nuking it and instead heat it in a saucepan, I found it was a little thicker than I would have liked. Still, nothing the addition of a small amount of milk and chicken stock didn&apos;t solve, and suddenly I had a very yummy meal for two. Not usually a fan of spinach, this gave me no issues at all. The spinach added a really nice element of colour, and a subtle flavour, to a surprisingly tasty and affordable meal. 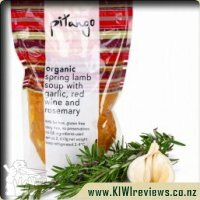 Serving half a pack of this each to two adults, with some toast points and garlic crostini (both made using fresh crushed garlic and some of the amazing Simon Gault Italian Rub) was the perfect early-lunch needed because we were heading out and wouldn&apos;t be around food at lunchtime. it was filling enough to see us through, yet not so heavy that we felt bloated or starchy. 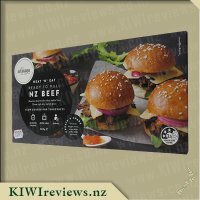 I was keen to try using this as an ingredient in something else, but to be honest after trying one small forkful, I just couldn&apos;t stop myself from dishing it up and having it as just a meal. It seemed such a waste not to enjoy the full body of flavours without risking losing them under anything else. Overall, I really enjoyed this, a lot more than I thought I would. 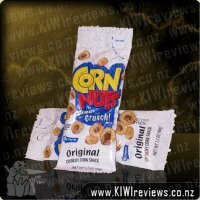 I would have liked to seen a resealable pouch, for those who may want to do single-serve portions, but that is only a minor, cosmetic issue that has no real bearing on the product itself, but is more of a &apos;consumer wishlist feedback&apos; thing. The kidlets were having leftover macaroni and cheese for dinner so I decided to share this with hubby. I had had a big workout and was pretty hungry so cooked up some prawns in a lemon infused olive oil as an extra protein accompaniment for me. I heated the risotto up in a microwave dish although it does state on the pouch that the contents can be heated in the pouch. The risotto was very thick but clearly full of rice, vegetables and chicken. I had cooked up some carrots, broadbeans, beetroot and broccoli also so the risotto actually split really well between the two of us as we both had a lot of extras on our plate. Without that though the risotto definitely wouldn&apos;t have been a sole meal for two. The risotto has a lot of vegetables and I would have been happy having the whole packet to myself without feeling the need to cook up extra veges etc. As it was I was glad I had the prawns also as the sauce from them went really nicely with the risotto. I loved the creaminess of the risotto and thought it tasted really nice. 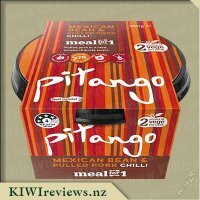 It wasn&apos;t my favourite of the four types of Pitango meals I have tried but I still rate it and would buy it again. I liked that it is gluten free so is a meal that I can serve up to hubby if I need a meal in a hurry. 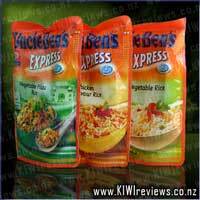 At $6 this is a cost effective meal in a hurry without compromising on quality. 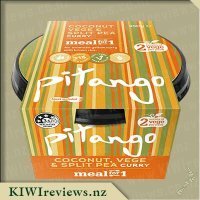 This was far tastier and enjoyable than some takeaway meals I have had and in comparison to take out meals this is incredibly good value for money. I would definitely recommend this and will definitely be looking out for this range when I next go shopping. This risotto flavour reminds me so much of my mums Chicken Frickasee. That dish is chicken shredded in a gloop of peas garlic and white wine sauce. I had this for dinner and it was very filling and a very generous serving size. I had it all myself and did not share haha. I am a real fan of this consistency meal so the only negative for me was the price compared to other same sized options. When you get into the $6-7 region your dinner options open up considerably. I loved the wild rice and peas, the flavour balance was perfect it had me scraping the bowl. Being 96% fat free is a hard task getting a good flavour because this usually means sacrificing on those great flavours that come inherently from things you should have in moderation. I would not have known any different if you told me it was full fat because it was rich in sustenance and flavour. 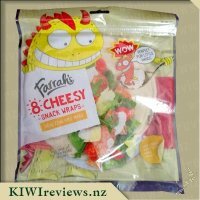 Now that I have tried this I would not think twice about having it in that $6-7 price range but if I had not had a chance to try it through KIWIreviews, I probably never would have. I personally recommend you try this meal. 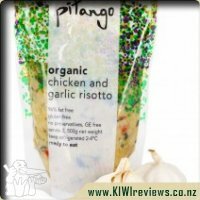 Pitango&apos;s Chicken and Garlic risotto is a balanced meal in a bag. It has the rice, the meat, and vegetables all in a pouch you just pop into the microwave and a couple minutes later dinner for two is ready. It is perfect for those nights you get home late or aren&apos;t feeling up to cooking but still have to eat. 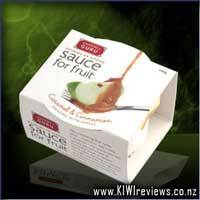 At $3.20 a serve it works out much cheaper than takeaways too. It is a healthy option being low in fat and gluten free too. When heating the risotto it had a very pleasant garlic aroma but it didn&apos;t taste very garlicky. Sorry no protection from vampires with this dish.There was a nice variety of vegetables although I did find there were some tough bits of green vegetable that I couldn&apos;t chew and ended up spitting them out. This was a shame as apart from this the risotto was very enjoyable. Unfortunately the pouch isn&apos;t resealable but a Magic Lock Sliding Bag Sealer was the perfect solution. Good thing I was at home and could grab on from the pantry. The serving didn&apos;t look big especially for a big eater like me but it filled me up and it was several hours before I wanted anything else to eat. The next day all I had to do for my lunch was remove the bag sealer and pop the pouch in the microwave for 90 seconds. I found the pouch was very hot to handle especially when I tried to squeeze the contents into a bowl yet the food was the right temperature to eat. 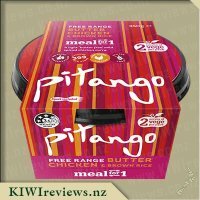 I had expected the chicken and garlic riscotto to be my favourite out of the four Pitango products I was given to review but I was disappointed by its blandness but as the saying goes you don&apos;t know what something is like until you try it. I cooked this up for dinner tonight, since it was just me and my two girls. I had frozen the packet, and it hadn&apos;t quite de-frosted by the time I was ready to cook. So I poured it out into a bowl and microwaved it. It did take a bit longer than what the packet suggested, but it wasn&apos;t suggesting from frozen! Once the risotto was cooked through, I plated this with some plain rice on the side because I do have one fussy kid. As predicted my eldest ate all her plain rice and poked at the risotto once or twice. She said that although it smelt good, she didn&apos;t like the texture or how sticky it was on her fork. I managed to get her to eat some, but she wasn&apos;t enthused and so I stopped fighting that battle. Funnily enough, my toddler had yummed up her risotto portion and had left the plain rice behind. Everyone has different ideals in taste and texture, after all. I found the texture to be nice. The smell of this dish was a really nice, savoury chicken. 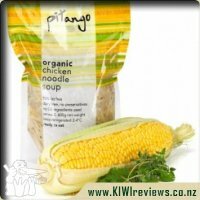 It&apos;s full of great quality ingredients and for me the taste was better than the chicken soup in the range. I liked this one, I found it filling too, which is important as I don&apos;t like having to raid the cupboards after 8pm. I have to say, this food give off a lot of yummy smells after being cooked, but in terms of taste, this stuff is rather bland! I tend to burn things more easily when cooking food in a pot, so I cooked this in the microwave, and it smelled delicious! When I sat down to eat, I took a bite, and was taken by surprise when I found that I could hardly taste anything. The packet said that this was enough to feed two people, so I divvied up the bag into halves and ate one half first and had the rest another day. When I had my second lot, more of the taste was there, so I think that refrigerating this stuff first brings out the flavour a bit more. The risotto looked appealing, and it had a good consistency as well. I love the price, this meal is well worth that amount of money, so it gets a full 10/10. In terms of portion sizes, while the bag said this stuff serves 2, I think that it is more suitable for 1 person, that is, unless the person eating it doesn&apos;t have a big appetite, or is having the risotto with something else. I found that, like soup, this stuff tastes good when served with bread, so that might be a good serving suggestion. 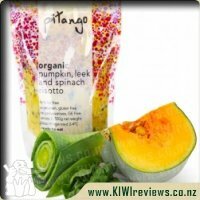 I think that I would like to try this again, and see if large amounts of refrigeration will help bring out more flavour with the other heat-and-eat meals we got from Pitango. 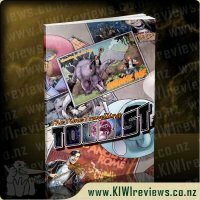 Product reviews for listing 3065: Chop Chop! 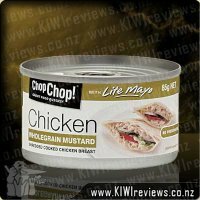 Chicken - Shredded with Wholegrain Mustard - Brand: Chop Chop! Premium chicken breast, shredded and mixed with a delightful light mayonnaise and wholegrain mustard sauce.